U.S. Environmental Protection Agency Administrator Scott Pruitt appeared before two Congressional panels on Thursday—the House Energy and Commerce environment subcommittee in the morning and the House Appropriations subcommittee on Interior in the afternoon. It was quite a spectacle, as a series of skeptical members of Congress tried to pin down an exceedingly wriggly Pruitt, pleading with him to give straight answers to straightforward questions about allegations of self-dealing, cronyism, corruption, and revenge firings. Take Representative Frank Pallone, a Democrat from New Jersey. He demanded that Pruitt answer “yes or no” to a query about whether he had requested the demotion of five EPA staffers who questioned him. Or consider Colorado Democrat Diana DeGette, who asked Pruitt about his $43,000 soundproof booth in his office, an absurd expense that the Government Accountability Office has ruled illegal. DeGette wanted to know whether Pruitt knew the purchase was illegal and whether anyone would be punished. 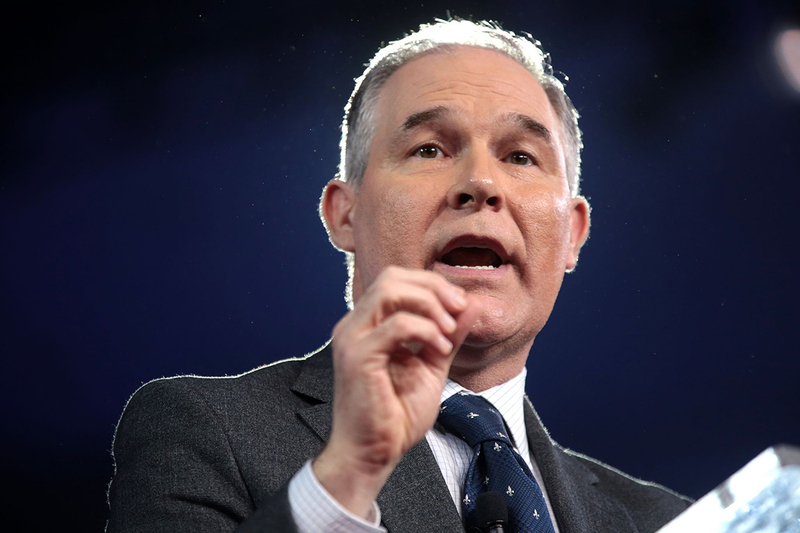 “We are investigating this internally,” Pruitt responded, apparently in the false belief that the EPA is a private club that doesn’t have to answer to Congress or the American people. Yet the most bizarre statement of the hearings came not from Pruitt, but from Republican David B. McKinley of West Virginia, who compared criticism of Pruitt to McCarthyism. For those of you who don’t recall, Joseph McCarthy was a Republican senator from Wisconsin who during the 1950s humiliated and persecuted innocent people—many of whom had no connection to government—for their personal political beliefs. Pruitt is a high-ranking public official who is being criticized for violations of ethical standards and government spending rules. It’s not quite the same. I agree. A few years in a monastery would be good for Pruitt, and the country.